PLTi takes great pride in providing solutions of Security Access Detection & Surveillance, Fire & Life Safety, and Data & Communication to casinos in the Southwest. PLTi recognizes each project as a rewarding one, whether it’s to give the public piece of mind or provide a greater experience in professional sound. PLTi works to keep each casino Smart – Secure – Connected. 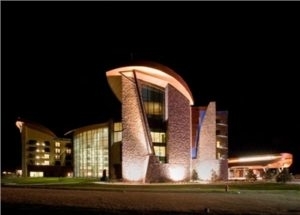 Sky Ute Casino Resort is owned and operated by the Southern Ute Indian Tribe. It offers hundreds of slot machines, five blackjack tables, one 3-Card Poker Tables, a four-table exclusive non-smoking poker room, one craps tables, a roulette wheel, and a 200-seat bingo hall. Plus, signing up for a Bear Card at the Bear Club Player Rewards Center offers you great benefits! In addition, Sky Ute Casino Resort now offers high stakes gaming on all table games and select slot machines! In addition, Sky Ute Casino Resort, has much to offer such as bowling & arcade to mini golf & playground, or take time to relax at the pool or in their spa. 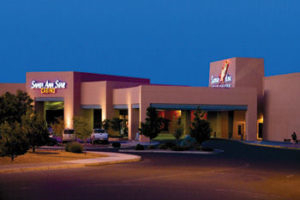 Santa Ana Star Casino, “New Mexico’s Best Bet,” became the first Native-American casino to operate in New Mexico, opening their doors in 1993. Growing from only 64 slot machines, today featuring more than 1,500 machines independently certified as the “Loosest Slots in New Mexico” by Strictly Slots® Magazine. In addition, featuring over 20 table games, live poker, and offer the best odds and pay tables for Video Poker in New Mexico. Santa Ana Star Casino offers a fun and friendly casino experience with an infusion of New Mexican from the casino floor to the dining & family entertainment, nightlife, or hotel. Named after the beautiful sulfur rocks that illuminate with a burning flame, Fire Rock Casino was the first of many gaming locations within the Navajo Nation. 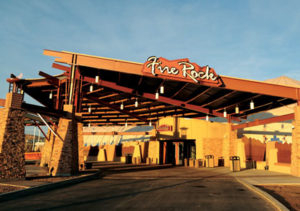 After opening its doors in November of 2008, it quickly became clear that Fire Rock Casino was just the getaway that New Mexico needed. Surrounded by the beautiful Red Rock State Park on Historic Route 66, Fire Rock Casino provides a picturesque view that is a must-see for tourists and locals alike. Stunning art and architecture combine to both symbolize and showcase the rich history of the Navajo people while providing a gaming experience unlike anywhere else. Fire Rock offers the latest and hottest games around as well as a proud and helpful staff to make sure every request is tended to. 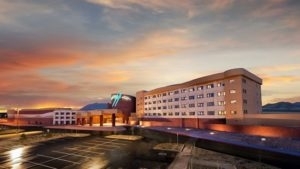 After opening its doors in January, 2012, Northern Edge Navajo Casino has taken gaming in the Four Corners to a whole new level. Comfortably nestled between Mount Blanca, Mount Taylor, Mount Hesperus and the San Francisco Peaks, Northern Edge Navajo Casino is a perfect escape from the ordinary. Northern Edge is loaded with traditional art and architecture that symbolize the rich Navajo history. Get lost in the culture while marveling at various Navajo murals and other décor found throughout the casino. Northern Edge offers the latest and hottest games around as well as a proud and helpful staff to make sure every request is tended to. The unique art along with ultimate gaming expertise combine to provide an experience like no other. After opening on Memorial Day Weekend, Twin Arrows Navajo Casino Resort quickly became Northern Arizona’s premier casino resort destination. In fact, we have been named “Best Casino Resort Destination of 2013” by the readers of Experience Arizona Magazine. Tucked within a picturesque view of the majestic San Francisco Peaks just east of Flagstaff, Twin Arrows is the centerpiece of the Navajo Nation Gaming Enterprise’s properties. 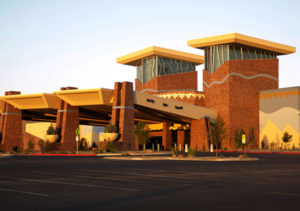 Here, art and architecture have combined to both embody and showcase the rich history of the Navajo people, while providing an unparalleled casino resort experience. Twin Arrows provides the very latest in gaming, often debuting new slot machines before they hit other casinos.